Sinza Kim was born in Seoul, South Korea. 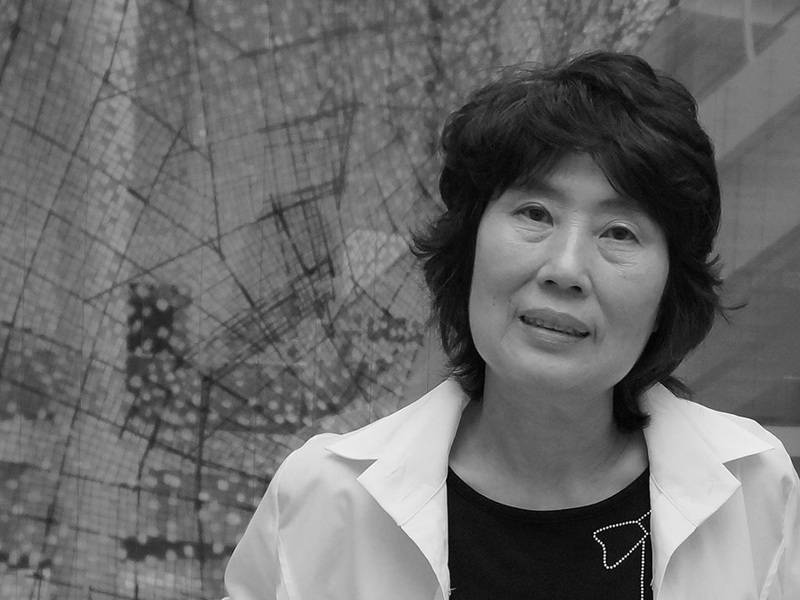 She was introduced into the fine arts by Prof. Kwen Young Douk around 1989. Later she went to Japan where she graduated at the Musashino Art University of Tokyo. After an exhibition in Nagoya she became the director of the Shin Ten Fine Arts Association. In June of this year, Sinza Kim will have an important exhibition at the Okazakisi Bijutsukan Gallery in Okazaki City, Japan. She will also come to Antwerp, Belgium, for an exhibition in the Love²Arts Gallery.